Essential oils provide an alternative to cleaning products with dangerous chemicals. Many of the cleaning products on the market today are filled with powerful yet potentially dangerous chemicals. While these products claim to provide effective cleansing benefits, they often contain synthetic chemicals and questionable ingredients that may put your family at risk when used around the home. The beauty of using essential oils and essential oil based cleaning products around the home is that they contain only the natural chemical components originally found in the oil, so when used in proper quantities they do not pose a risk and are safe to be used around the house. At each of the sinks in our home we use the On Guard foaming handsoap. I fill the pump bottle up about 1/3 with the concentrate, then add water to create a luxurious and non-toxic handsoap that smells fantastic! 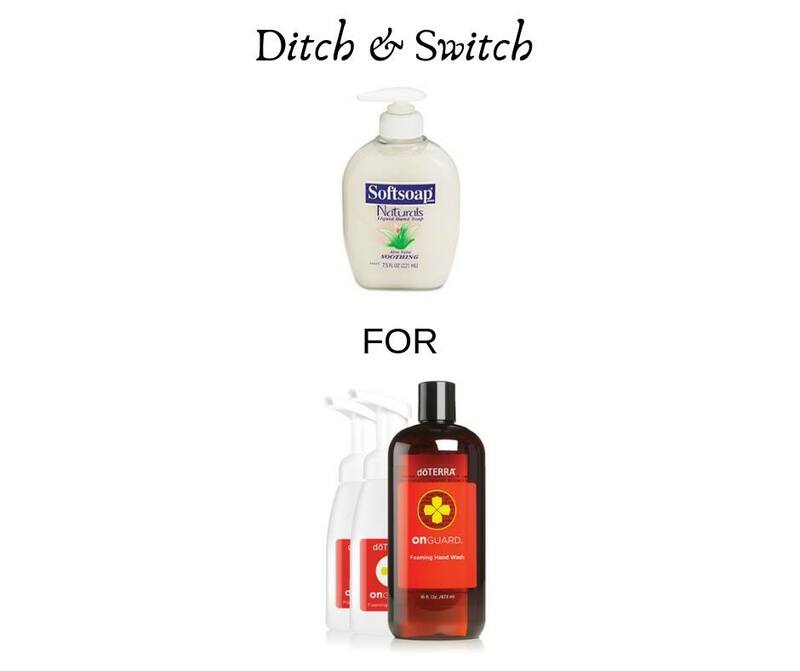 Ditching your handsoap for a natural alternative is a great boost to your cleanliness and health!